Below are Online stores you can buy iTel Prime 3 (III). The Online stores Jumia, Gearbest and Konga. Please in the comment section below, You can provide the problem you have faced on using the iTel Prime 3 (III) and we will try to proffer a solution in the comment section. 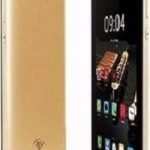 Please where and how do I get the original Itel prime 3, I reside in Onitsha in Anambra state, I need an urgent reply. Hi everyone, i want to buy the iTel Prime 3 (III) device but I want to know if it a nice one, does it allow applications installed on SD Card, does it overheat, or fast etc? I use Itel 1355 now then this new Itel Prime III How much did u sell in Nigeria money? It can be easily gotten on Online stores.